Social Media Scraper is a tool helping journalists and watchdogs to keep politicians accountable for the statements they make in social media. It allows to quickly aggregate data from Facebook, Twitter, and Instagram profiles and visualize it suing basic analytics, such as trends, word-clouds and maps. Yura Lisovski from Opora has been tracking Ukrainian politicians on their social media, raising the value that this channel can bring to monitoring our representatives. Checking wherabouts and activities of politicians during publicly-funded delegations, analyzing the rhetoric, checking the most covered and neglected issues, all this can be done based on activity on social media. Inspired by other similar analysis we have decided to give it a go, and create a tool that would allow journalists and activists to access social media streams without the need to learn coding and visualize basic trends in the data. The value of knowledge exchange inside the TransparenCEE network has manifested when Sandor Lederer has shared his positive experience of participating in HuriDocs’ Data Investigation Camp. 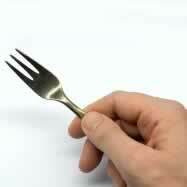 One of the tools mentioned in the article brough our attention: Littlefork by Christo from Tactical Tech. LittleFork is a tool to fetch, transform and publish data from different sources, images from Flickr or Google, tweets, Youtube videos and such. It was just the tool that we needed. Instead of writing scraping from scratch we have partnered with Christo who was happy to develop new functionality for LittleFork allowing scraping data from Facebook and Instagram. This allowed us to focus on the analysis and visualizations. LittleFork is now called SugarCube. You can find example of Facebook and Instagram scraping here. Yuri Lisovski has prepared a training on analyzing social media data using LittleFork and other tools during the working group meeting on the margins Personal Democracy Forum Ukraine 2017. Participants’ interest in analyzing such data showed us that we are on the right track.